Fancy a relaxing break on the French Riviera ? Let Campanile Hotel Chateauneuf welcome you to the idyllic setting near the Cote d'Azur. Nestled in the idyllic French Riviera, in the country’s Alpes-Maritimes department, is the town of Grasse – perfume capital of the world and the centre of the French perfume industry. The area produces two thirds of France’s natural aromas, and every year harvests 27 tonnes of jasmine, which was first brought to southern France at the end of the 16th century by the Moors. 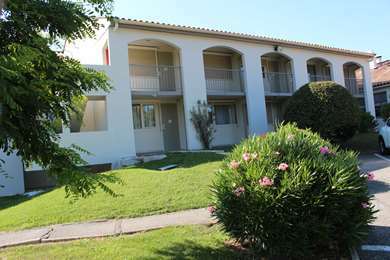 The town is within reach of Cote d’Azur towns like Cannes and Antibes. The medieval town’s winding streets have expanded across the hilltops around its original hill – the Puy, home to the local cathedral – since the community became a free commune in the 12th Century. The town built a reputation firstly thanks to its tanning and hide trade, and later thanks to Grasse’s area now world famous perfume industry. The town is also on the historic Route Napoleon, the route taken by the emperor on his return from Elba.